Slovak Paradise is a unique national park lying in eastern Slovakia. It begins in Spišská Nová Ves. The Mother Nature takes pride in its diverse beauties. Massive rocks, lovely pathways, murmuring rivers, green grass, trees or colourful flowers- all that is waiting to be discovered in Slovakia Slovak Paradise Mountains. You can see not only several deep ravines and dingles hollowed by the river stream but also beautiful cascades. The most famous cascades in Slovak Paradise - Slovensky Raj are Suchá Belá and Piecky ravines. Piecky Ravine is 450m (1,476ft) deep. 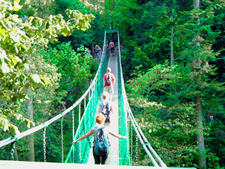 Suchá Belá Ravine is the most visited one in Slovak Paradise (Slovensky Raj). 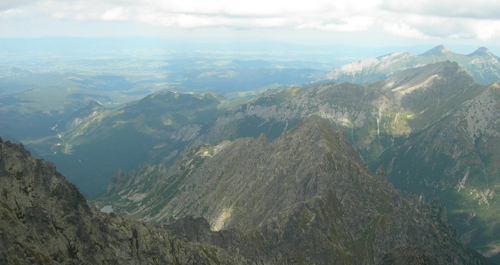 Javorina with its 1186m (3,891ft) is the highest mountain in the Slovakia national park. Tourist routes in this Slovakia National Park are clearly marked and their most dangerous parts are equipped with ropes and ladders. Thanks to them, all passing tourists are perfectly safe. 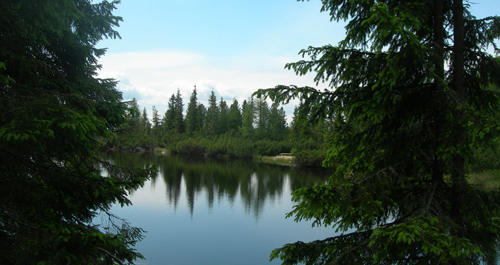 The Slovakia region is characteristic by coniferous forests and rare protected plants as for example the edelweiss or the spring gentian. The most beautiful part of Slovak Paradise (Slovensky Raj) is certainly the Hornád River valley extending on the North of the National Park. The river runs through 16km (9.94mi) long chasm called Prielom Hornádu. Its huge cliffs can be passed only using ladders and stairs with iron chains and ropes. If you want to go there and enjoy impressive panoramic views, you can do so from Čingov lying nearby Spišská Nová Ves. That’s the starting point for this place. 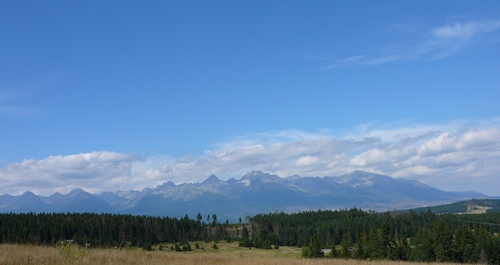 There are few interesting tourist centres as Dedinky, Mlynky or Podlesok in the southern part of Slovakia Paradise. 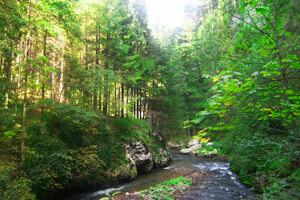 The northern part of Slovensky Raj National Park is accessible from Čingov, the southern one from Dedinky. There are some cableways operating in the park. 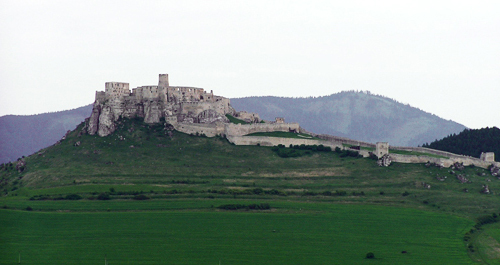 The southern part is accessible from Rožňava. There is a beautiful Dobainska Ice Cave situated on the park’s edge, about 25km (15.5mi) far from Rožňava. A rare plants reservation surrounds the Dobsinska Ice Cave. 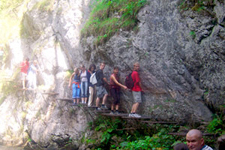 Slovak Paradise is also well known by the longest cave on the Slovak territory – the Lost Cave.